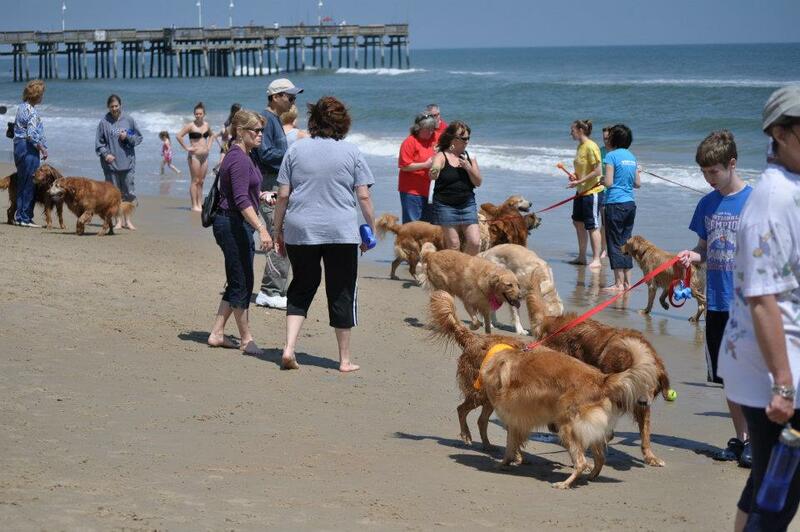 YOU ARE INVITED TO BRING YOUR GOLDEN AND HAVE FUN WITH US AT THE BEACH! Please join us for our quarterly membership meeting at Sandbridge. This will be a wonderful opportunity for SEVA GRREAT members to bring their Goldens for a spring party at the beach, and to hear more about the rescue. We have a picnic shelter reserved from 9am – 2pm, and there will be a brief membership meeting at 11am. Otherwise, hope for GRREAT weather and bring your pups and family for a fun day at the beach. We are not planning a formal cookout, but feel free to bring a picnic lunch if desired. We hope to see as many volunteers and former adopters as possible! !